Our Team Pelican Scholarship Award Program is in its 11th year, and the students that apply continue to showcase their ever-growing skillsets, determination and dedication to Pelican’s values. Since 2008, we’ve awarded scholarships to deserving high school seniors across the state. 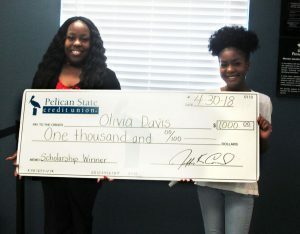 Pelican has given out over $50,000 in scholarships since we’ve started! 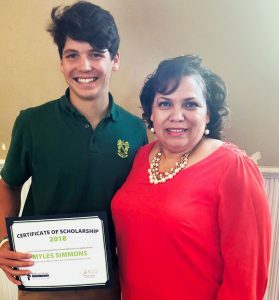 Check out our blog post featuring five Louisiana scholarships for high school students! We had 62 students apply this year—our highest number ever! These applicants have over 1,000 combined volunteer hours and are directly making an impact on their communities. It was a really tough decision for our volunteer-based scholarship committee. 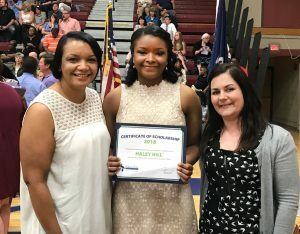 Haley Hill is a Dutchtown High School graduate. She was a member of Science Club, BETA Club and Student Council. She also served as the secretary for the National Honor Society. She was a member of the volleyball team and the Dutchtown High School Mentor Program. Haley also volunteered as the Youth Food Outreach Coordinator for the Mission Outreach Program, serving food to elderly and low-income families in Iberville parish. How do you demonstrate good financial planning? 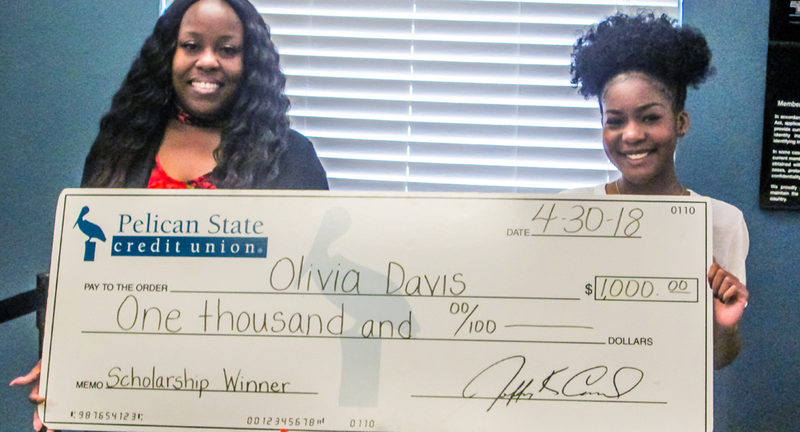 Olivia attended Caddo Magnet High School, where she served as vice president of the YWCA Lead Program for two years. She regularly sings in the Mount Pleasant Baptist Church Choir. Olivia also founded a program called Libbey’s Chemo Kits as a way to heighten cancer awareness within her generation. Zach is a graduate of Alfred M. Barbe High School. He has been a member of the Chemistry Club, Future Business Leaders of America and Mu Alpha Theta Math Club for four years. He is an accomplished athlete, having been a member of the swim team and cross country team for four years. 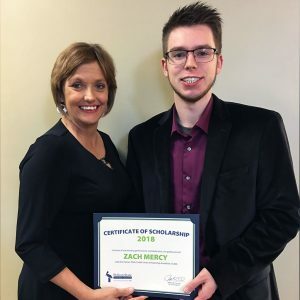 Zach has also regularly volunteered his time with the Lake Area Industry Alliance’s Trash Bash and ChemExpo, BHS’s Chemapalooza and the Children’s Ministry at Trinity Baptist Church. 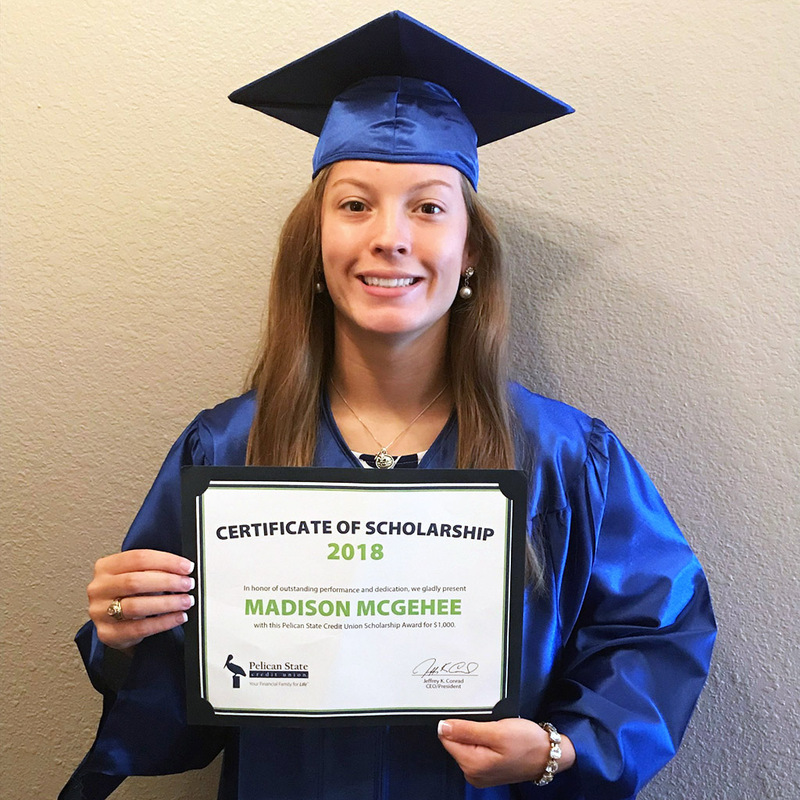 Madison attended Barbers Hill High School, where she achieved the Eagle Honor Roll, A-B Honor Roll and was a member of the Silliman Institute’s National Honor Society. She was a member of the track and basketball teams and USA Track and Field. Her volunteer efforts include involvement in Toys for Tots, the Pumpkin Patch for Kids Festival and assisting victims of Hurricane Harvey. 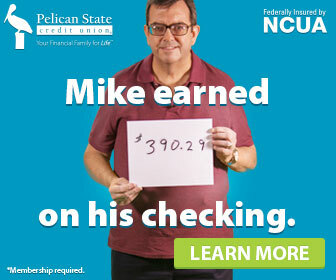 “I have demonstrated good financial planning pretty much every day since I opened a checking account. I utilize my debit card for almost all transactions, and I consistently check my account balance online to keep track of all my expenditures. Kiswayla is a graduate of Zachary High School. She was a two-year member of the BETA Club and served on the Zachary High Cheer Team for four years. She regularly volunteers her time at the 360 Christian Center Church, serving as Peer Youth Counselor and leading adult praise & worship. “I have had several opportunities to practice good financial planning during the course of my life. One in particular was getting my first credit card. I applied for a credit card and was approved with a $500 limit. I use the card to purchase gas for my vehicle, but don’t exceed $100 in my monthly spending limit. I don’t max my card out and make sure to use under 20% of the credit line they gave me. I pay the card off completely each month. Myles is a graduate of the Silliman Institute. 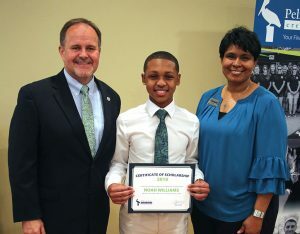 He is a member of the National Society of High School Scholars and the National Honor Society. He served as Student Body President for his senior year and received the Scholastic Award for the 2017 varsity football team. Myles also volunteers his time at nursing and special needs homes during the holidays. “Financial planning is a useful tool in order to set short and long-term goals in one’s life. When one has a plan, it is much easier to stay on track to meet those goals. 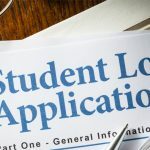 Find out how you can start preparing to pay back student loans before, during and after college! Kylie attended Lafayette High School, where she was a member of BETA Club for two years and a six-year Sign Language Club member. She also served as a manager for the volleyball team. 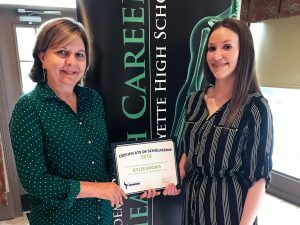 Kylie’s service to her community includes helping children learn to read and volunteering with Bark in the Park and Express Fest for the Deaf Education Department. 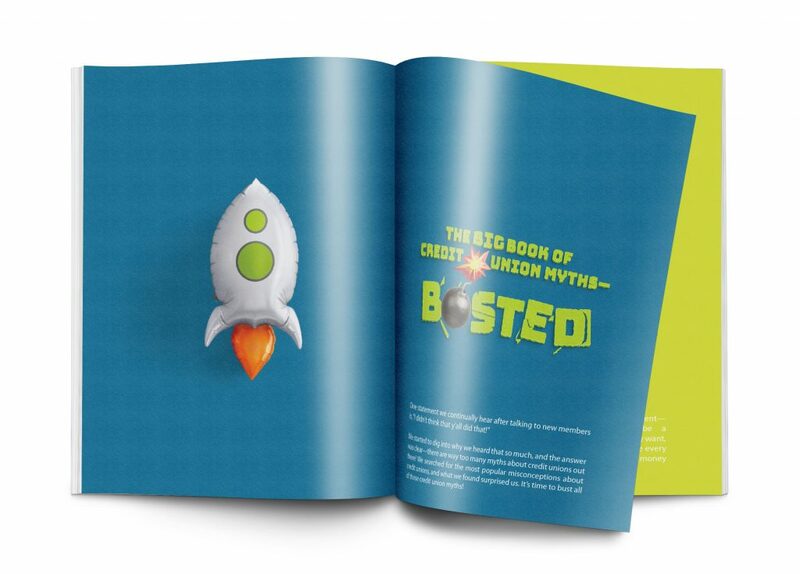 “One time I had been saving money to put in my account, and I had been saving for a while. Well, I had finally saved up about $300, since I get ‘paid’ $100 for every nine weeks that I make the principal’s list on my report card. 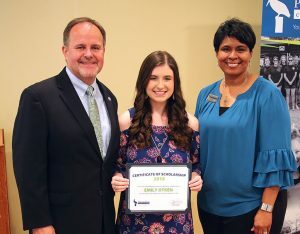 Emily is a graduate of Denham Springs High School, where she was selected as the DSHS Student of the Year and served as Vice President of Mu Alpha Theta. She has been an active member and volunteer of Live Oak United Methodist Church and the Livingston Parish Children’s Choir for 12 years. Emily has also volunteered 55 hours of her time at Ochsner Hospital’s Neonatal Intensive Care Unit. 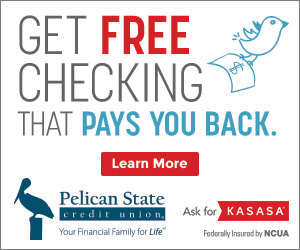 “I demonstrated good financial planning when I opened my savings account at Pelican State Credit Union. 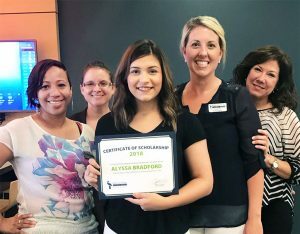 I had received the Greater Baton Rouge State Fair Volunteer of the Year Scholarship, and I made the responsible decision to place my money in the credit union. Want to save some fast cash? 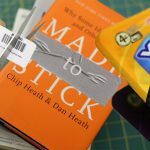 Read our blog post on how to save quick money in college! Kaleb also graduated from Denham Springs High School. 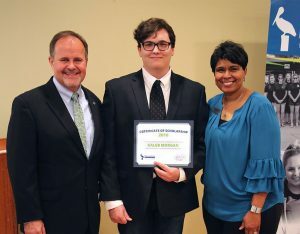 He has participated in many extra-curricular activities including the Fellowship of Christian Athletes, Mu Alpha Theta, AP Society and the Jacket Pride Band. He has served as the Live Oak Baptist Church sound tech for three years and has been a member of the church’s band for two years. “Good financial planning will allow you to be better prepared when you want to make major financial decisions such as buying a car, home or boat. For example, last year I started saving months in advance for vacation to Disney World in Florida. 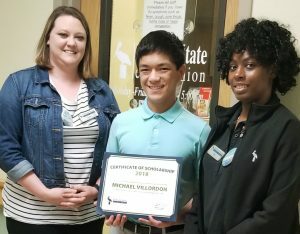 Michael attended Neville High School, where he was a member of the National Honor Society, the Spanish National Honor Society and was also selected as Neville High School’s Student of the Year. He was a member of the Varsity Speech and Debate Team for four years, serving as Captain his junior and senior years. Michael has volunteered for a number of causes including flood relief, Meals on Wheels, the Interact Club and the Eco Club. Alyssa is a graduate of Pineville High School and a 4-year honor roll recipient and Key Club member. She is member of the cheer team, powerlifting team and the Pineville Softball Team. Alyssa’s volunteer work includes being a bell-ringer for the Salvation Army and participating in the Night to Shine Special Education Prom. “The importance of good financial planning is so you see the big picture and set long and short-term life goals, a crucial step in mapping out your financial future. When you have a financial plan, it’s easier to make financial decisions and stay on track to meet your goals. 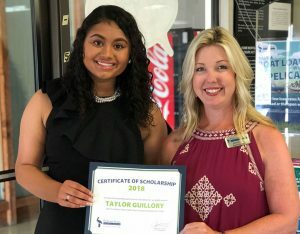 Taylor graduated from Opelousas High School, where she served as Student Body and BETA Club President during her senior year. She served on the Student Council for four years and was a member of the Art Club for two years. Taylor’s service to her community includes tutoring other students and volunteering with the Inseparable Friends Benefit Society. “Planning well financially is extremely important for present and future purposes. Financial planning helps you determine your short and long-term financial goals and create a balanced plan to meet those goals. 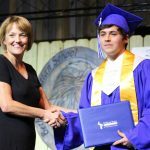 Noah graduated from Ponchatoula High School, where he was the Vice President for the National Honor Society and served on Student Council. He served as section leader for Advanced Choir and Vice President of the local Students Against Destructive Decisions Chapter. Noah’s volunteer efforts include tutoring students in 5th and 6th grade at the local community center after school. 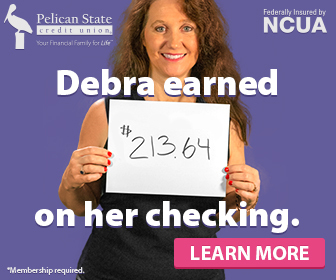 “Ever since I began banking with Pelican State Credit Union, I have made saving the majority of my income a necessity. I am conscious of my earnings and the amounts in which I can spend without going below my minimal balance. Congratulations to all of our Team Pelican Scholarship winners! We want to hear from you! What do you think of our scholarship winners’ essay answers?